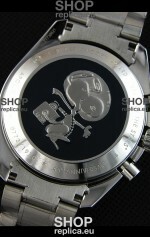 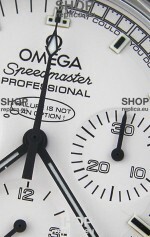 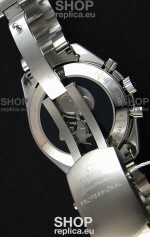 Genuine Swiss Venus 75 Movement with functional stopwatch feature as per the orginals. 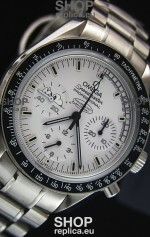 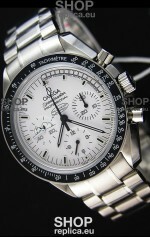 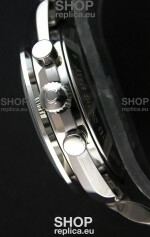 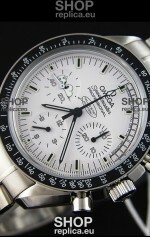 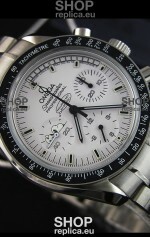 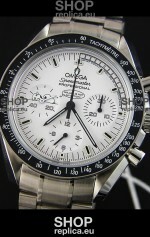 316L Solid Polished Stainless Steel Case with Black Tachymeter Bezel . 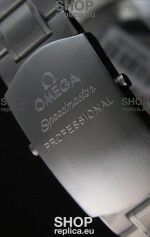 Solid Case Back complete with Omega Markings and Engravings as per the originals.